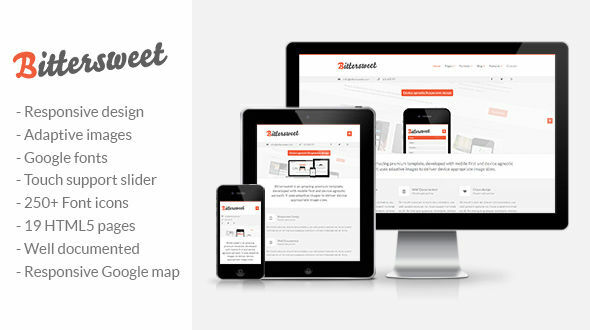 Bittersweet is Responsive HTML5 /CSS3 template for business or a blog site. It has a clean and modern design, very flexible and multipurpose template that comes well documented. It was built with a device agnostic and mobile first approach, looking great no matter what device -from mobile phones to large screens. The template uses Adaptive images by Matt Wilcox to serve device appropriate re-scaled images.